Testosterone is arguably the most important male hormone there is. It plays an important role in the growth and maintenance of muscle mass, bone strength, and body hair. As men age, their testosterone levels naturally decrease. Testosterone levels that are too low can lead to a range of negative health effects such as infertility, decreased muscle mass, frail bones, and overall feelings of fatigue and exhaustion. 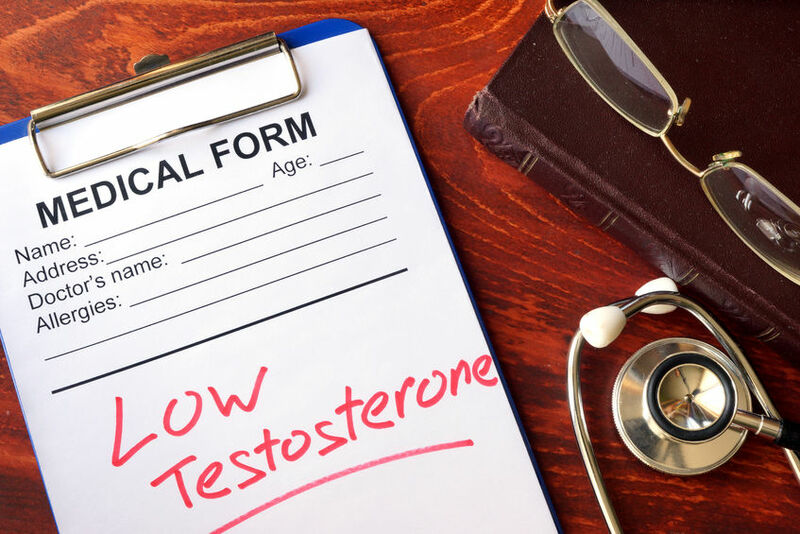 While men can take synthetic steroids or engage in hormone replacement therapies to raise their testosterone levels, those can come with pretty severe side effects, including the possibility of permanently inhibiting the body’s own production of testosterone. That’s why natural methods of boosting testosterone production are generally superior. Of course, low testosterone could also be a result of a legitimate health disorder, in which case you should consult a doctor if you believe that you have low testosterone. But in the meantime, here are five ways that you can boost your testosterone naturally. Americans are chronically sleep-deprived, which can lead to a number of health disorders, including weight gain, high blood pressure, heart disease, and low testosterone. A study performed on young, healthy males subjected to seven consecutive days of 5-hour sleep nights found that their testosterone levels decreased by 10 to 15%. Considering how many American men sleep that little during the week and try to catch up on weekends, that could mean that millions of men are chronically suffering from low testosterone just due to a lack of sleep. Get a good, solid eight hours of sleep every night if you want to keep your testosterone levels up. Multiple studies have shown that those who remain physically active have higher levels of testosterone than those who are sedentary. But you want to be careful not to overdo it. If you’re too active you can actually drive your testosterone levels lower. That’s particularly the case for those who habitually run long distances. Moderate physical activity, such as 30-60 minutes of lifting weights or other fitness-oriented activity should be enough to keep your testosterone levels from dropping further than they should. There’s a large body of research that demonstrates that men who are overweight have lower testosterone levels than those who are of normal weight. So drop some of those extra pounds and boost your testosterone levels. Stress increases levels of the hormone cortisol in the blood. Cortisol counteracts the effects of testosterone and chronically high cortisol levels can lead to low testosterone, fat accumulation, insulin resistance, and numerous other problems. If you’re constantly stressed out, for whatever reason, take steps to manage or remove the stressors in your life to keep your testosterone levels elevated. A good healthy diet that is balanced in terms of nutrient intake is one of the best ways to maintain your testosterone levels. Moderating your consumption of caffeine and alcohol is crucial too, as alcohol consumption in particular can lead to low testosterone. An increasing amount of research is pointing to vitamin D as a crucial vitamin in maintaining and even increasing testosterone levels. One study found that men who consumed 3,332 IU of vitamin D daily for a year increased their overall testosterone levels by 25%, and their bioactive and free testosterone levels by 20%. Those who suffer from low testosterone are also often deficient in crucial minerals such as magnesium and zinc. Taking mineral supplements or eating mineral-rich foods such as dark, leafy greens can help get your magnesium and zinc levels back to where they need to be.